All parents are invited to Conversation with Nancy on Friday, February 8 at 2:30pm in Greenwood Commons. An email with more details will be sent early next week. 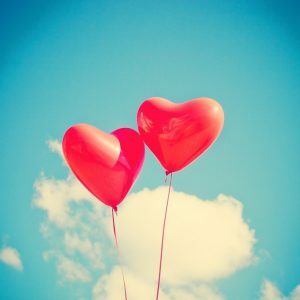 Happy February everyone! On Friday, February 15th, the Parents Association will provide lunch for the faculty and staff with a little help from some of you! Click here for the Sign-up Genius to see how you can help. Be on the lookout for an email next week with more details. In the meantime, sign-up and help show our faculty some love. Let me know if you have any questions! 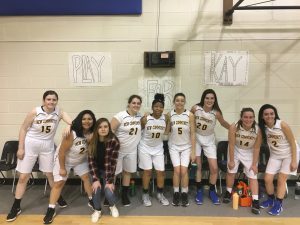 We are so proud of our Girls Varsity Basketball Team for playing their hardest in honor of Scott Kay, who started this season as their Head Coach. Way to go Sabers! 8th – 12th grade students, be on the lookout for spam! 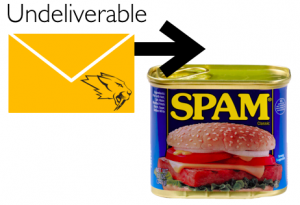 This isn’t the canned meat, but undeliverable emails landing in your school inbox. Spammers use your email to send out advertisements, phishing, and malware. If you notice a lot of undeliverable emails in your inbox, chances are you have a lot of mail in your sent box, too. See Mrs. DelMonte as soon as possible to secure your email. Decoding Dyslexia Virginia invites TNCS parents to their next monthly meeting on Monday, February 4 at 7pm at the Bon Air Public Library. Topics include Structured Word Inquiry and an update on bill SB1718. Click here for more details. Congratulations to Michael Monahan and Anthony Vitale, who each won a $25 Mastercard gift card in our weekly prize drawings for Great Reading Games. There are four more $25 gift card prize drawings left before the Great Reading Games ends in late February. Students are eligible for the next random prize drawing if they read 20 minutes on 5 days between February 1st – 8th. Keep reading and good luck! Thursday, February 14, 3pm in Greenwood Commons to learn about ordering caps, gowns and graduation announcements. During this meeting, students will be given order forms. Seniors must order a cap and gown, but graduation announcements are not required.